Milwaukee County is considering growing and processing industrial hemp at the Mitchell Park Domes. Doing so could generate money for the Domes’ aging infrastructure and the Milwaukee County park system. It would also put Milwaukee County in the same category as a growing number of entities and businesses looking to explore the business of industrial hemp, which is now legal after decades of restrictions. In November 2017, the state legalized the growing and processing of industrial hemp through the Industrial Hemp Pilot Research Program. The 2018 Farm Bill signed by President Donald Trump earlier this month also legalized industrial hemp at the federal level. In Wisconsin, separate licenses are necessary to grow and process industrial help. The Wisconsin Department of Agriculture Trade and Consumer Protection is accepting license applications for the 2019 program through the end of the year, and Milwaukee County intends to apply for one. Milwaukee County Supervisor Sylvia Ortiz-Velez, who sponsored the resolution to apply for the state licenses, said there are many different options to make hemp a lucrative business for the county. Those options include education, seed certification or research for the federal government, Ortiz-Velez said. Separately, Milwaukee County Parks has issued their own proposal for producing industrial hemp, hemp seeds and cannabinoid oil at the Domes. If the county were to move forward with the proposal, it would be done at the 60,000-square-foot greenhouse facility adjacent to the three domes. The greenhouses are currently used to display flowers and crops. The request for information was issued Friday, Dec. 21. Responses are due Monday, Jan. 21 and could be used to develop a competitive request for proposals to move the idea forward, according to the county. Growing and processing industrial hemp is one of the options the county is looking at to raise money for the parks department and the Domes. According to the county, the aging Domes are in poor condition with approximately $30 million in deferred maintenance. 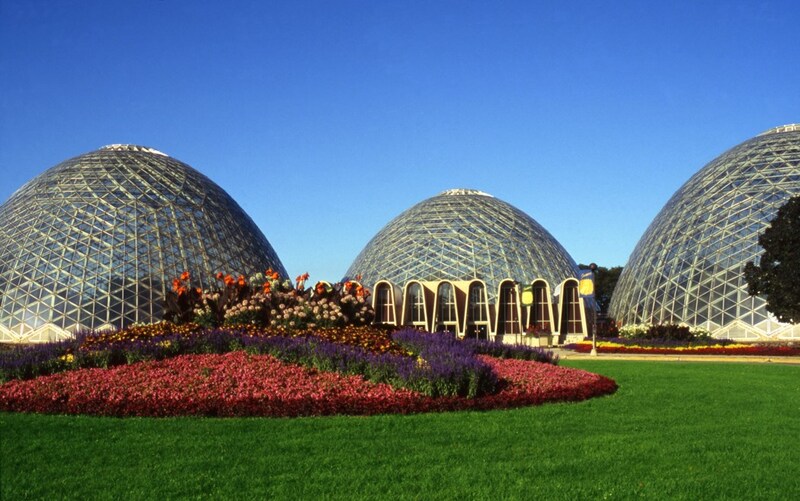 In October, Milwaukee County supervisors formed a task force to study the possibility of building a new Milwaukee Public Museum at Mitchell Park, next to the Domes. The museum plans to move from its current county-owned building at 800 W. Wells St. to a new $100 million or more building within the next decade. Museum officials are hoping to break ground on the project by 2022. The museum is currently considering a handful of sites in and around downtown Milwaukee. Ortiz-Velez said the Milwaukee County Board is expecting to hear from the task force and the public museum in March. Milwaukee County Looks To Grow, Process Industrial Hemp At The Domes was originally published by Wisconsin Public Radio.